The 2019 Northwest Archivists Annual Meeting will take place May 15-17, 2019 in Bozeman, Montana. The 2019 Program Committee seeks session proposals on all aspects of archival practice, theory, and research. To encourage the inclusion of more archivists, and our colleagues in related professions, we are forgoing a formal theme this year but are especially interested in topics that reach across the profession including those related to interactions, transitions, collaborations, and identifying/overcoming barriers. Proposals will be evaluated based on their value to the archival professional, new or unique qualities and perspectives, and appropriateness for the intended audience. Research Presentation. A traditional open session with 2-3 papers of about 15 minutes each and a comment and discussion period after the papers. You may also submit an individual paper presentation to the Program Committee. Roundtable. An open discussion anchored by brief, 5-7 minute presentations Active participate encouraged. Workshop. A limited enrollment for a full or half-day session that allows interaction and focused instruction with participants. Workshops usually teach or refine archival skills. Workshops will be held May 15th. Poster. A visual presentation about research, technology, or process that usually incorporates both text and images. Poster presenters provide additional information and answer questions asked by those viewing the poster. Demonstration. A session demonstrating a technology, skill, or process. Please select Workshop (see above) for sessions requiring limited attendance due to supplies or focused attention by the session leader. Other. Please feel free to submit proposals that do no match any of the above. Describe the basic premise of the format and any logistical requirements. Also list any online resources that describe your session. All are welcome to participate including those not employed as professional archivists, such as staff and volunteers, students, community organizers, researchers, creators and donors, and academics. To assist applicants in finding session collaborators, the Program Committee created a spreadsheet for interested individuals, available here. DEADLINE for submission is CLOSED. DEADLINE for poster presentations is CLOSED. Please contact Kellyn Younggren, Program Committee Chair, with any questions or concerns. 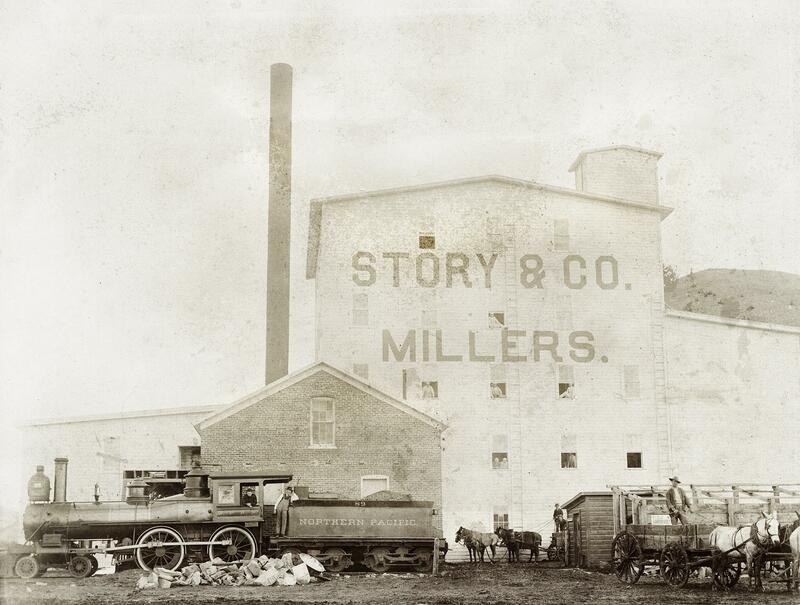 Caption: Story’s Mill, Bozeman, Montana, 1895, Photograph by Dawes and Davies of Bozeman. Catalog #PAc 93-41 F2.2, Montana Historical Society Research Center Photograph Archives, Helena, MT.